Chinese-language edition of the first account of Auschwitz, by Polish hero Witold Pilecki, to be released Wednesday. Taiwan will release a Chinese edition of the first known Holocaust report on Auschwitz-Birkenau written by a Polish resistance fighter who infiltrated the Nazi death camp, a Polish institute said Monday. According to AFP, the Chinese translation of the report will be available from Taiwanese publisher Acropolis starting Wednesday, Poland's Institute of National Remembrance (IPN) said on its website. In 1940, Polish partisan Witold Pilecki deliberately got himself arrested by the occupying German Nazis a few months after they set up Auschwitz in southern Poland so that he could become a prisoner there and expose the camp's horror. Despite his extraordinary role, Pilecki was unheeded by the Allied powers including the United States and Britain, and more than 65 years after his execution by Poland's communist regime, he has largely been forgotten outside of the country. Acropolis head Patience Huang described Pilecki's report as "an amazing document" in a statement cited by IPN. "In Taiwan we know all about Auschwitz, we know the history of World War II, but we hadn't heard of Pilecki, which is why we decided to publish the report in Chinese," Huang said. "We're constantly discovering the truth about what happened during the 20th century, including thanks to Pilecki, and that's why I see him as a hero of our time." The Chinese edition will be called The Auschwitz Volunteer: Beyond Bravery. Pilecki pulled no punches in the regular reports he sent out to the Polish resistance using accomplices. In one message he detailed the massacre of 120 Polish women: "In the evening, their body parts, heads, hands, chopped-off breasts and mutilated corpses were taken by cart to the crematorium." After escaping from Auschwitz in 1943, he tried to keep spreading the word - but foreign leaders failed to believe the extent of the horror. Pilecki later fought against Poland's communist regime, which captured and killed him in 1948. He was wiped from official history until the regime fell four decades later. One million Jews were killed at Auschwitz-Birkenau from 1940 to 1945, according to the museum at the site of the former camp. More than 100,000 others including non-Jewish Poles, Roma, Soviet prisoners of war and anti-Nazi partisans also died there. 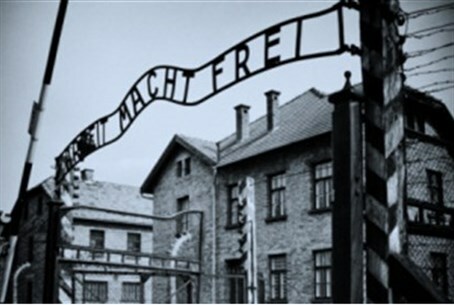 A Yad V'Shem study in 2012 noted that interest in Taiwan about the Holocaust has been on the rise, with a delegation of 35 teachers with no personal connection to Judaism visiting the museum for a 10-day seminar.